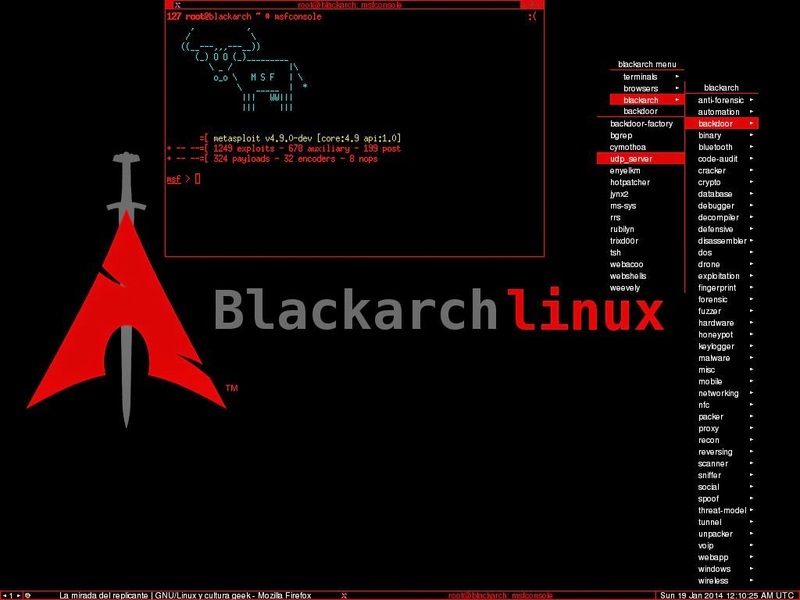 BlackArch Linux is an Arch-based GNU/Linux distribution for pentesters and security researchers. The BlackArch package repository is compatible with existing Arch installs. A live ISO with multiple window managers, including dwm, fluxbox, openbox, awesome, wmii, i3 and spectrwm. An installer with the ability to build from source.